Oreka Godis has joined the new Lagos radio station - Urban 96.5FM as OAP. She will be co-anchoring the early morning show with Benny Ark and late morning show with revered and veteran radio host, Gang Tyeng. 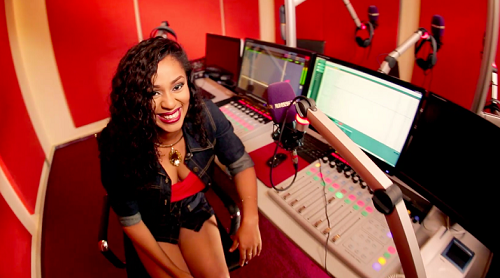 Also, Influential female pop icon and one time MBGN, Munachi Abii has also joined the Urban96.5 FM Lagos team. Other OAPs on the new radio station are Benny Ark, Abby, Gang Tyeng, FayFay, Segun Endim and DJ Neptune. #Urban96FM is the first Visual Radio Station in Nigeria operated by Alphavision Multimedia Ltd, a subsidiary of Consolidated Media Associates Group. It is a social network radio heavily dependent on conversation starting off or continuing on social networks.